The Scoop Radius Elite Saddle from Fabric is a mid width saddle aimed at a more upright riding position, offering maximum support and comfort. It is the perfect balance of comfort, performance and simplicity. It is made using a 3 part construction which consists of a cover, a base and a rail. 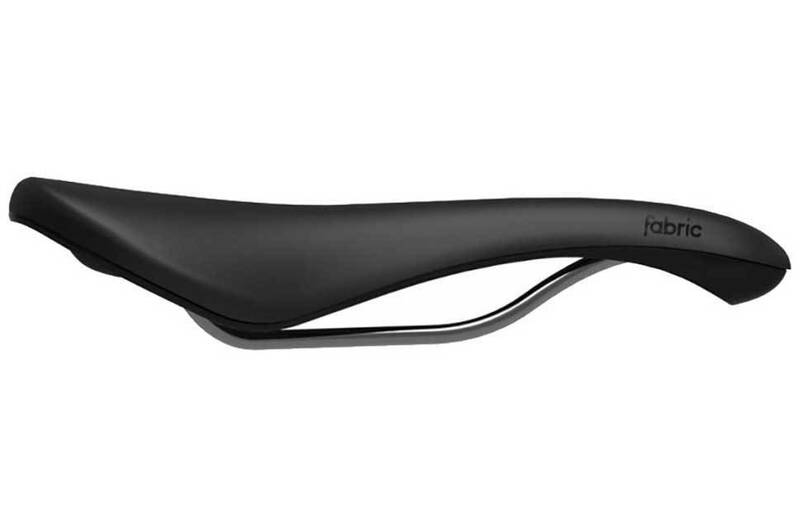 The minimal manufacturing technique removes any staples, excess material and any other imperfections that are synonymous with common saddle construction. The cover is wrapped in a durable and waterproof microfibre cover with a grippy texture that still allows you to freely move around the saddle and the clean and simple design makes it exceptionally easy to clean. The base is made from nylon which is lightweight, highly flexible and strong enough that Fabric can use less padding which helps create the streamlined shape. The rail is made from a lightweight Cro-Mo with an anti corrosive coating. Available in Black/Black, Black/White, White/Black, Black/Green, Black/Blue, Black/Red and Red/Black.